Another great post-release showcase. 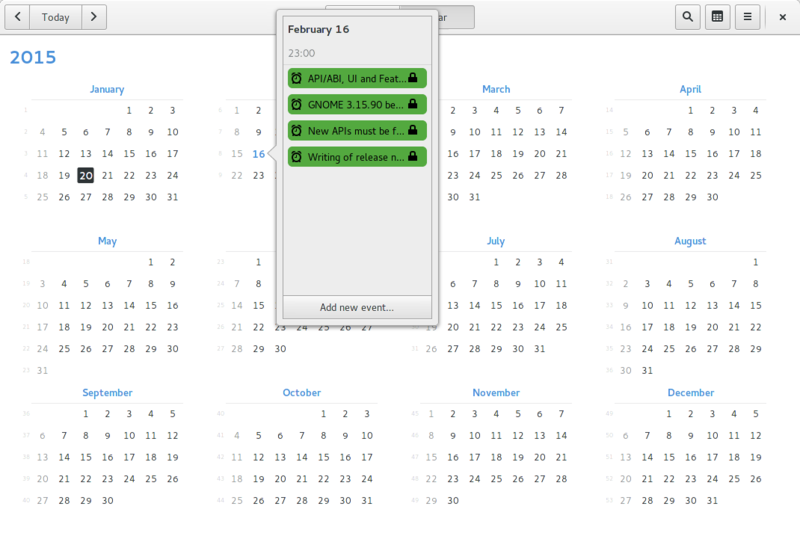 Today, we saw Calendar 3.15.4 being released, with lots of great things. Let’s go through each one of them. 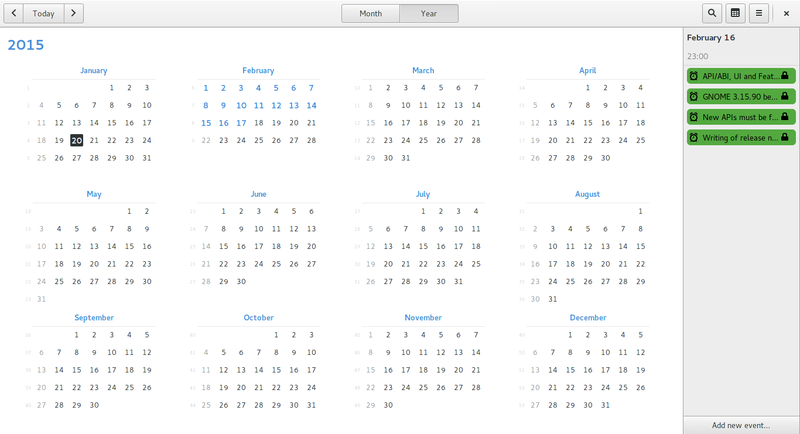 The design samurai Lapo Calamandrei attacked again and did some of his usual great work, this time on Year view. Obviously this brings us to the shining feature of this release: the new year view. Remember the search was poorly implemented? Last release saw an initial prototype, with little feedback from our design experts. Oh, that wasn’t so charming. Below, the current state of the search. That certainly looks way better. It’s still a work in progress, but that was a step to the right direction! 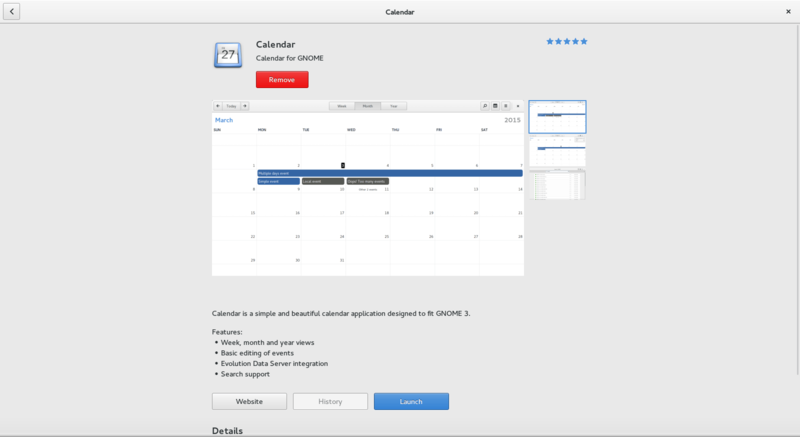 Thanks to the spontaneous work from Igor Gnatenko, Calendar now appears at GNOME Software (and any other software center that relies on appdata). 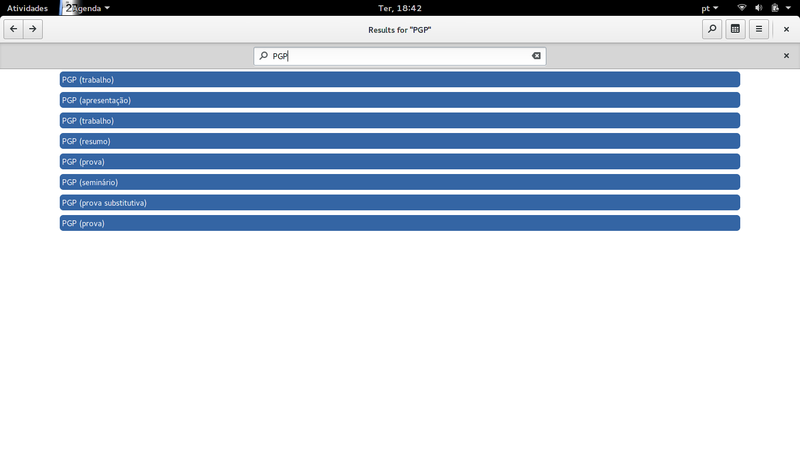 The screenshot above (directly linked to the source) illustrates this. Thanks, Igor! Oh, the Wiki. Place of many funny – I’m avoiding the horrible word here – pages. 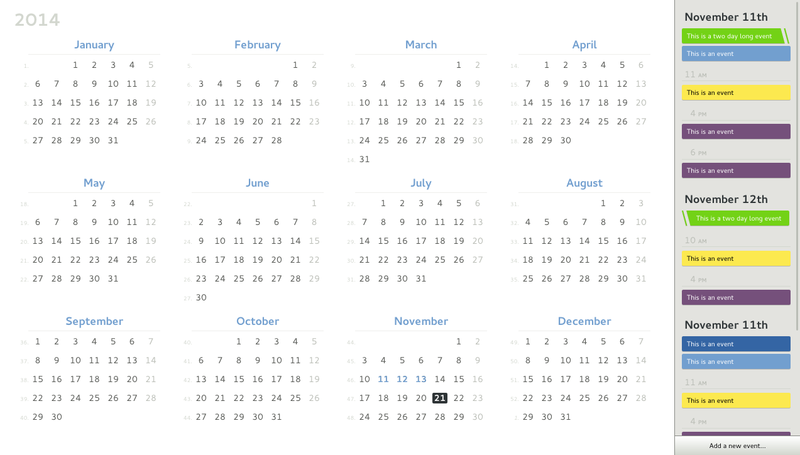 Well, Calendar really deserves a good page. Why? Because that’s where the users will normally have their first contact with the application. Probably the most important topic, instructions on how to contribute. While not all of these targets were achieveds, this was certainly a step in the right direction (again). 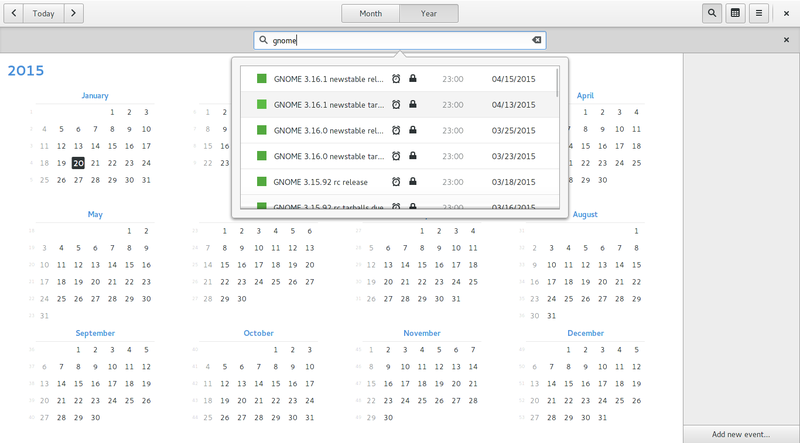 There won’t be images here; be sure to check https://wiki.gnome.org/Apps/Calendar/. 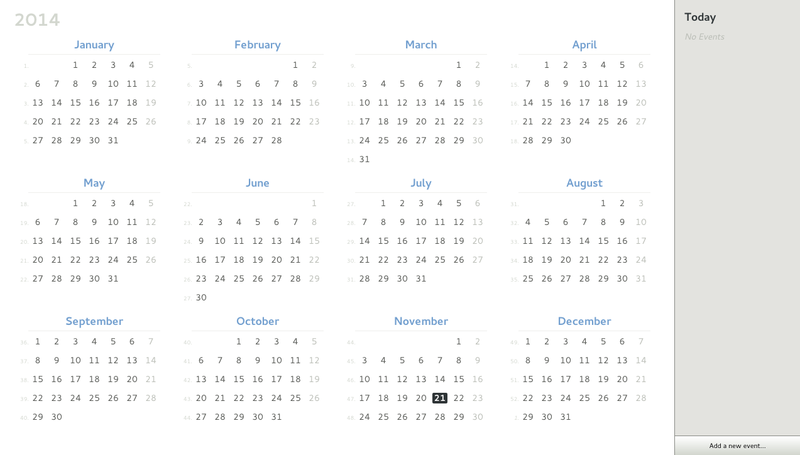 Calendar application is core in any desktop environment. It should have all the care and love it possibly can. It is such an unbelievable experience to work with these guys (Erick, Lapo, et al), but there’s still much to learn and do. Contributions are specially welcomed. Looks brilliant! Well done everyone!